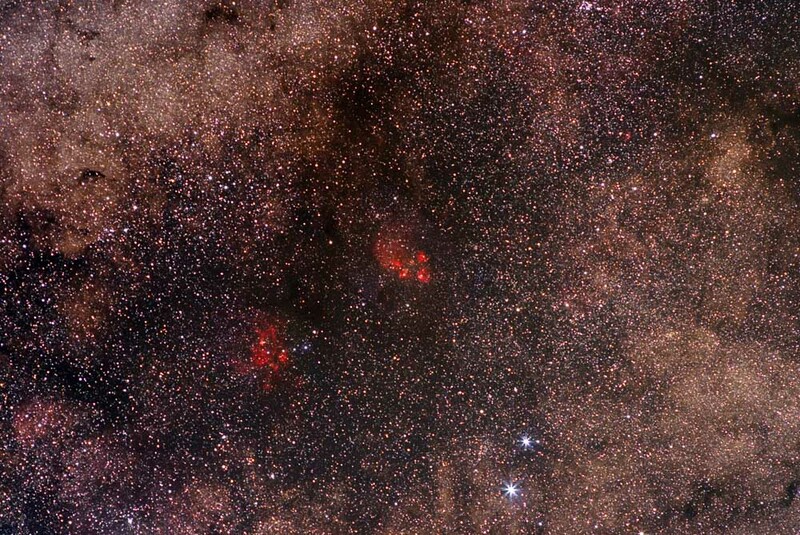 This is another interesting nebula near the scorpion's tail, only a few degrees away from the cat's paw. 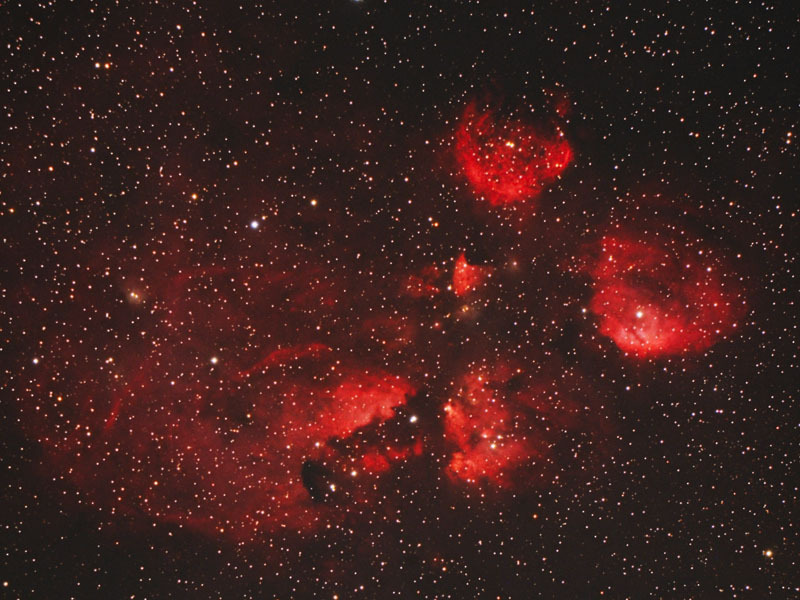 33 * 5 = 165 minutes total exposure over a couple nights. 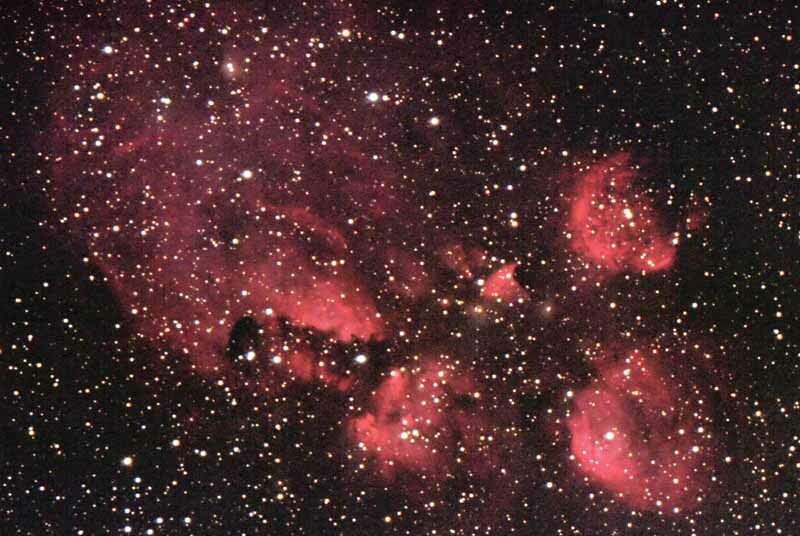 Above, an older pictures shows NGC 6334, the Cat's Paw nebula in southern Scorpius. This was the last shot of the night as it rose in the SE around 4:00 a.m. 9x4=36min exposure March 9, 2008. 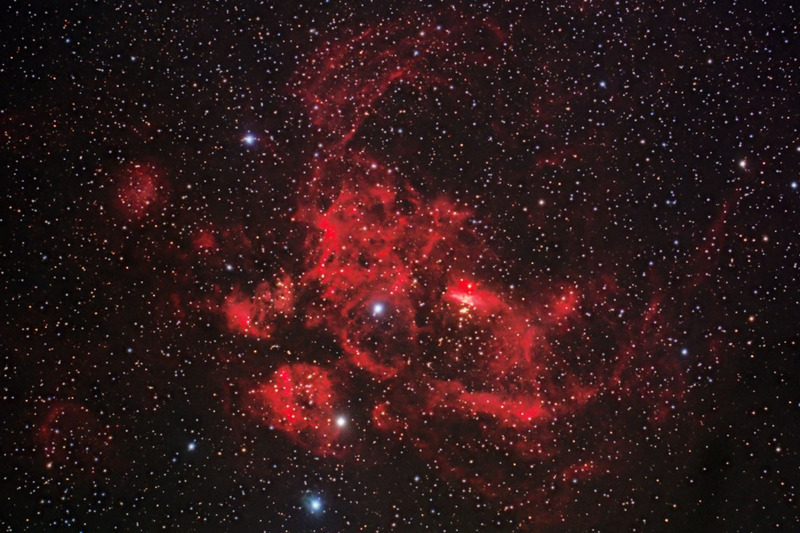 All astronomy images: Canon EOS 20Da (unmodified), Takahashi TOA 130 (a 5" APO refractor) with the TAK flattener, guided with SBIG STV, Astro-Physics AP 900GTO mount. My current image processing workflow is here. Other HAS pictures from March 2008 are here.